What exactly is good health and how do we achieve and maintain it? Health is a reflection of the dynamic interactions and balance between an individual and the environment . Both internal (emotions, mental attitudes, spirituality...) and external (relationships with family, friends, work, and events relating to them; exercise, diet...) influences play a significant role in how well a person feels, looks and acts. Good health is a communication between each individual and self. We all make choices every day. Let's choose wisely! Choosing a lifestyle that will bring health, joy and creativity is of utmost importance in the healing process. 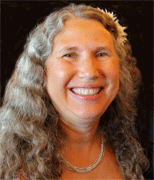 Ellen Shefi will assist you in your healing process and health plan. She will be your personal guide in your healthcare: sometimes being an active detective to uncover the dis-ease; other times working with you to be a catalyst in balancing your energy and your life. In Chinese medicine, each person and disease is viewed uniquely. Therefore, each treatment is tailored to the unique needs of the patient at that particular time. Ellen combines her knowledge over the past 40 years in Eastern, Western, Native and Shamanic traditions to create a treatment for you that is in your highest interest. The modalities used may include: Eastern principles: acupuncture, moxa, cupping, gua sha, Chinese herbs, skin rolling; Western principles: Western herbs, diet, aromatherapy with medicinal grade, organic essential oils, acu-aromatherapy, sound therapy with tuning forks, color therapy with colorpuncture, massage, energy work, Point of Light, Reconnection; Native: smudging or ceremony; Shamanic: creating new soul contracts. Ellen Shefi has been working in health care for over 40 years. She began her career in nutrition receiving her Bachelor of Science degree from the University of Michigan in 1976. She worked overseas in the field of dietetics and nutrition for 10+ years as Head Dietitian of HaEmek Hospital, private clinics, governmental agency and teaching. Then she returned to school to study naturopathic medicine at NCNM (National College of Naturopathic Medicine) and acupuncture at OCOM (Oregon College of Oriental Medicine). She graduated with a degree in Oriental Medicine in 1989 and has been practicing as a Licensed Acupuncturist since that time. She also received a license in Massage Therapy in 1987. Ellen is certified in Reconnective Healing and The Reconnection. She has taught at OCOM over the years and has lectured nationally. For the past 15 years she has been mentoring students and acupuncturists. She has served on the Oregon state acupuncture board, OAAOM. Currently she is the chair for the Acupuncture Advisory Committee of the Oregon Medical Board. She served as the chair on the Acupuncture Advisory committee of the Oregon Medical Board from 2009-2015. Lotus Acupuncture creates a quiet, comfortable and safe healing space that patients enjoy. We are located on 20 acres of wooded land across from the Clackamas River. Oregon City is located 25 minute drive southeast of Portland's downtown and is easily accessible by highway. "I love my career and look forward to each day at work. Each patient brings a new challenge and opportunity for personal growth as well as restoration to balance. I look forward to being your personal guide in the healing process, and I will assist you in creating the changes needed for better health and lifestyle. Together we work to gently restore the body to well-being. I look forward to meeting with you to begin the transformation."